Welcome on board, Kindle users! While Google Play with lots of fancy apps is included with most of Android phones or tablets, it is not all that easy for Kindle users. Although Kindle is also Android-based, it has its own app store powered by Amazon. Unfortunately the latter counts much less apps to offer which makes it difficult for Kindle users to get some popular Android apps on their eBooks. 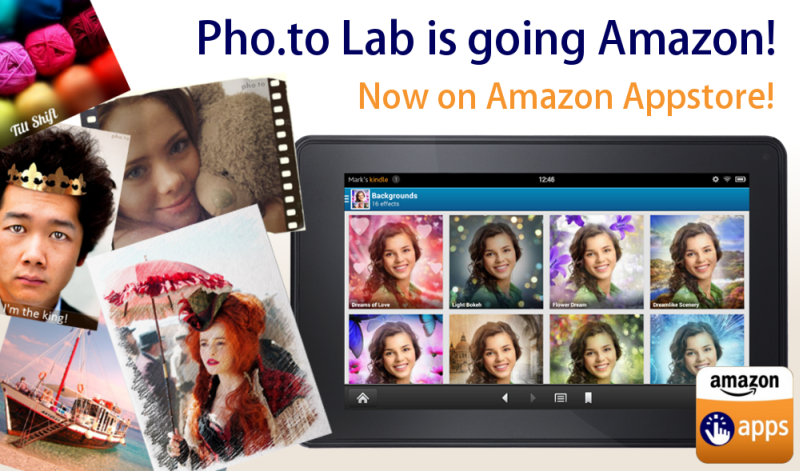 No workaround is needed with Pho.to Lab since both of its versions (PRO and Free) have been added to Amazon Appstore!